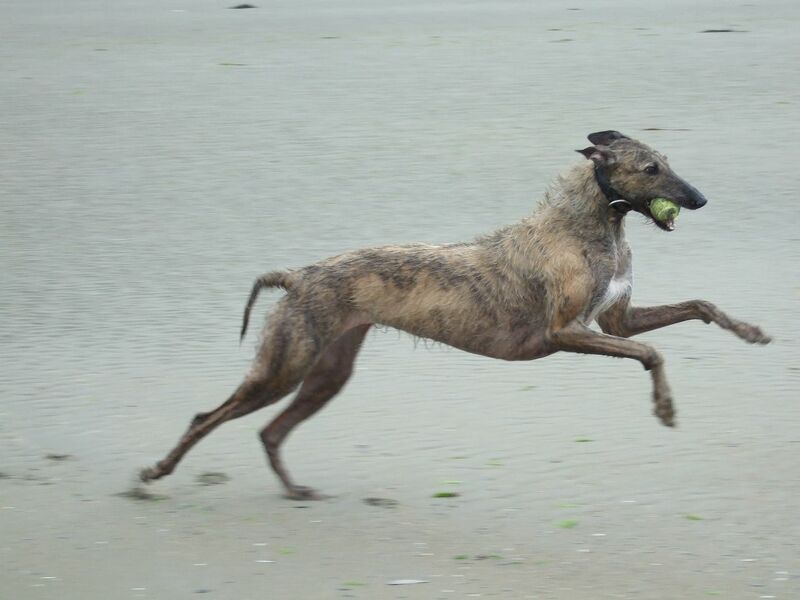 I liked Trevors photos of Bruce. 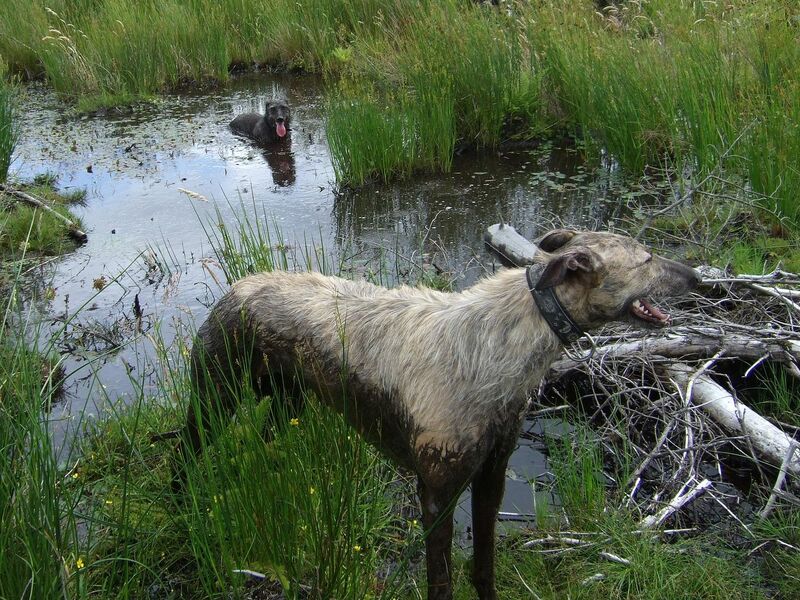 This my two cooling off in the bog, after a run over very rough ground. 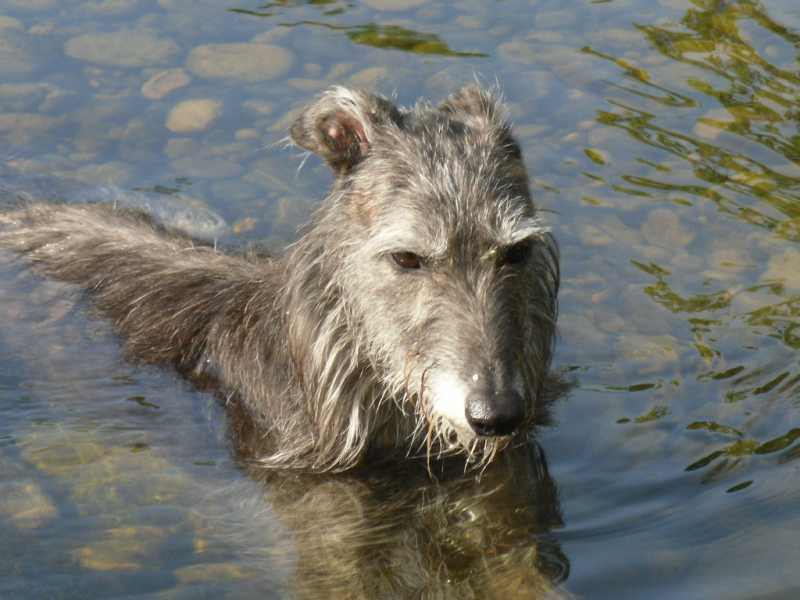 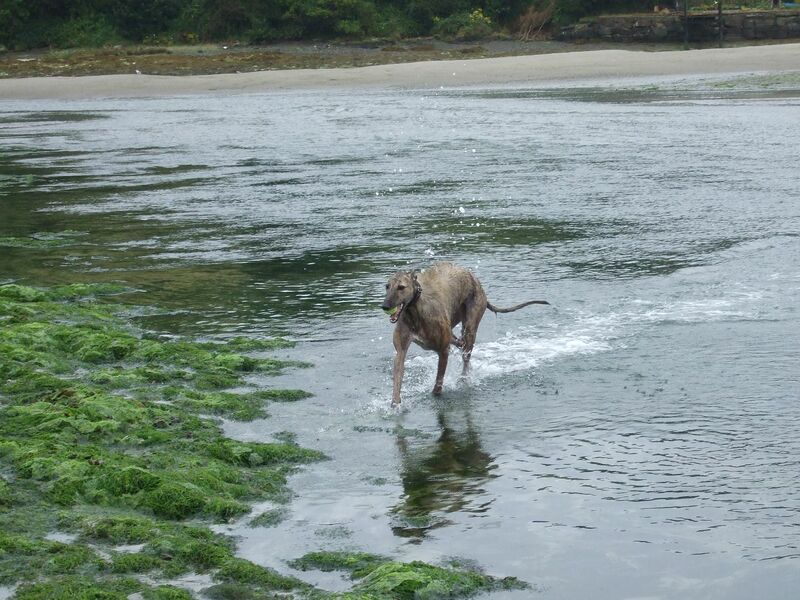 Other than Bruce and to continue the "Cooling off" topic heres a few photos of Milo he was a deerhound cross I had they were taken last year,Milo is cooling off in the River Wharfe near Grassington in the Yorkshire Dales UK,by all means if any one elsle would like to add photos of their dogs cooling off please do. 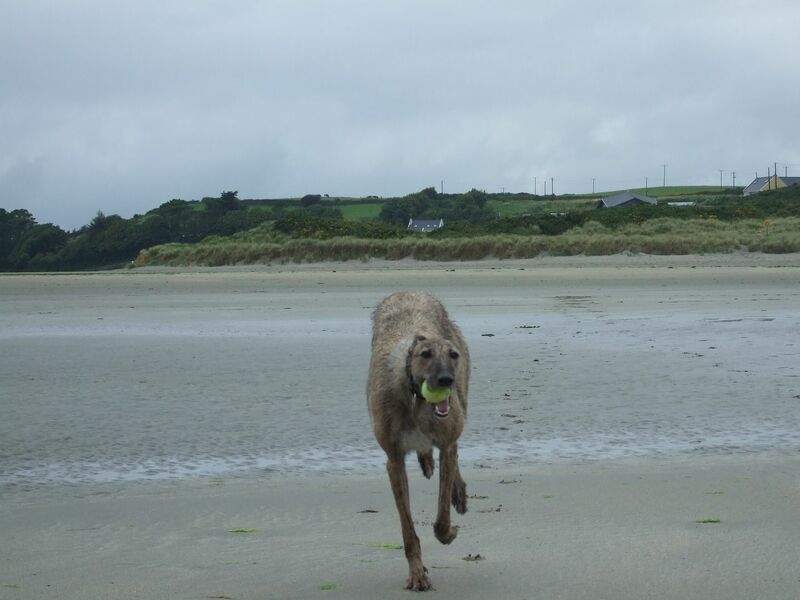 Last Edit: 3 years 8 months ago by trevor. 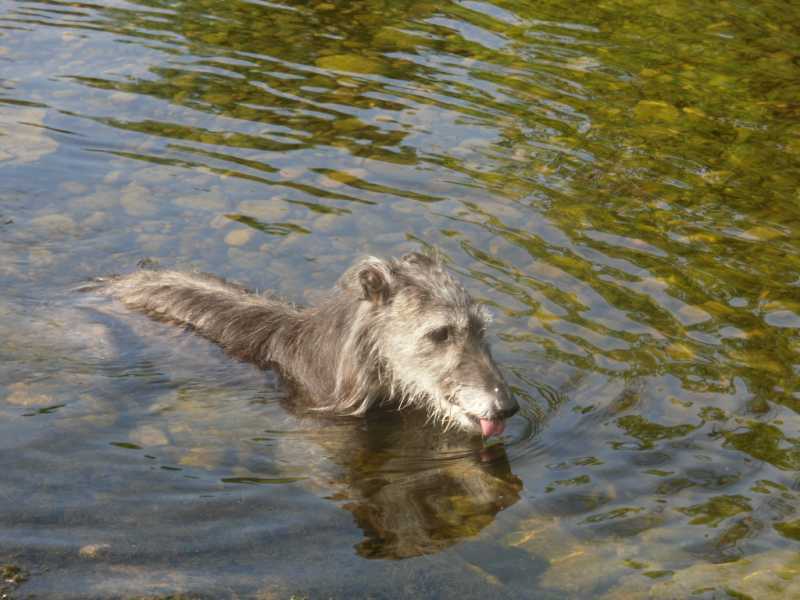 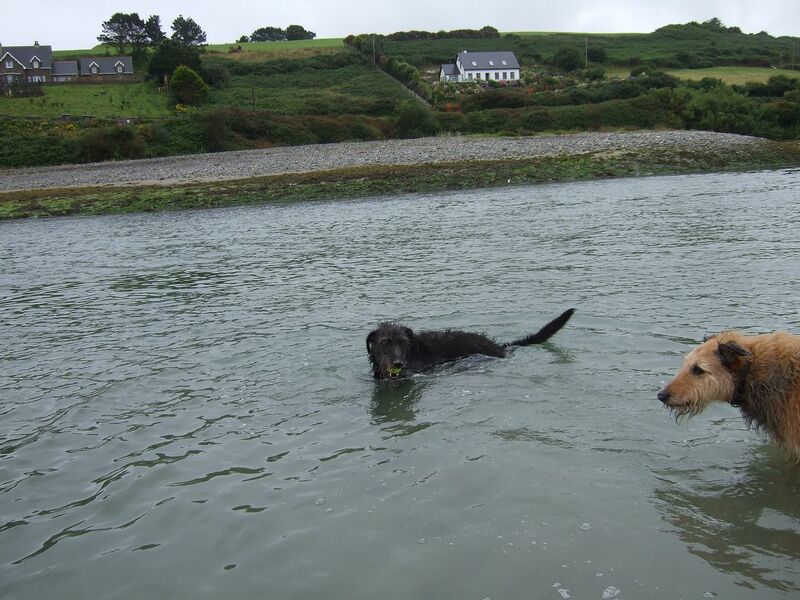 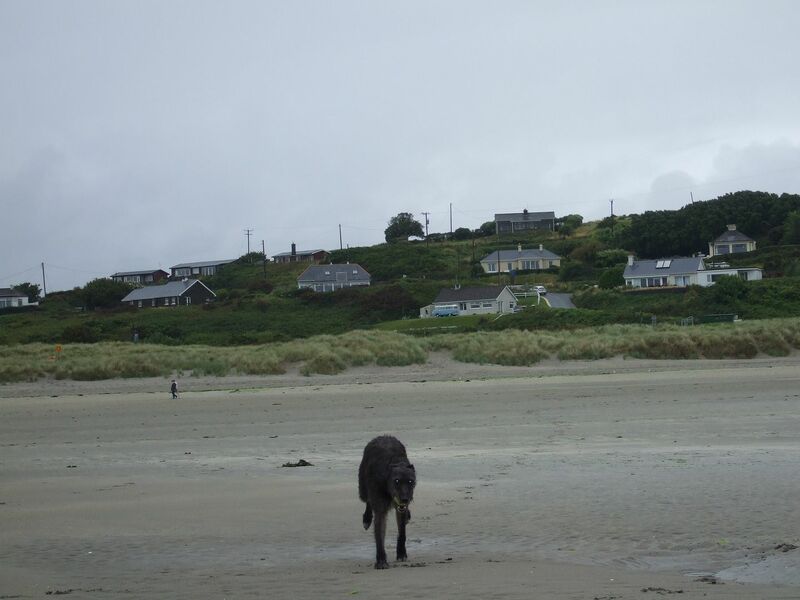 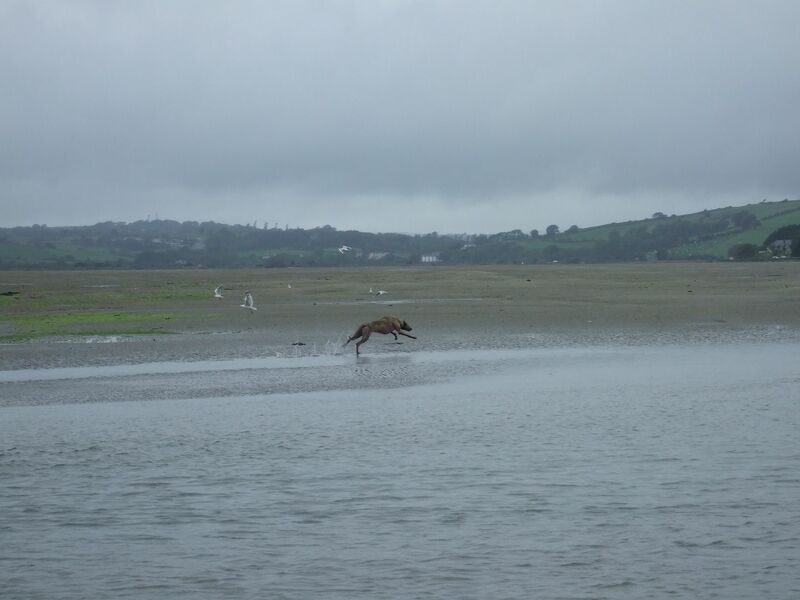 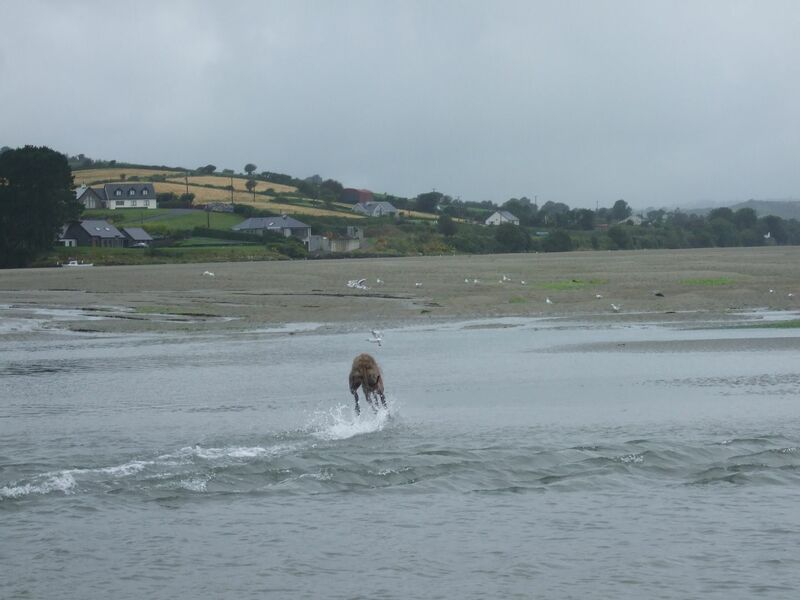 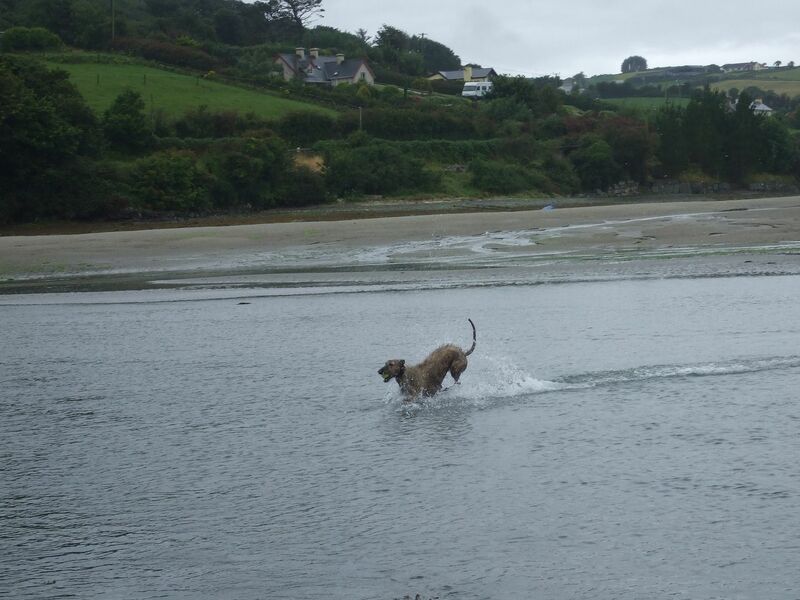 I am surprised no one else has put more photos of their dogs "Cooling Off" surely there must be more that can be added to this post,thanks for the replies so far,atb Trevor. 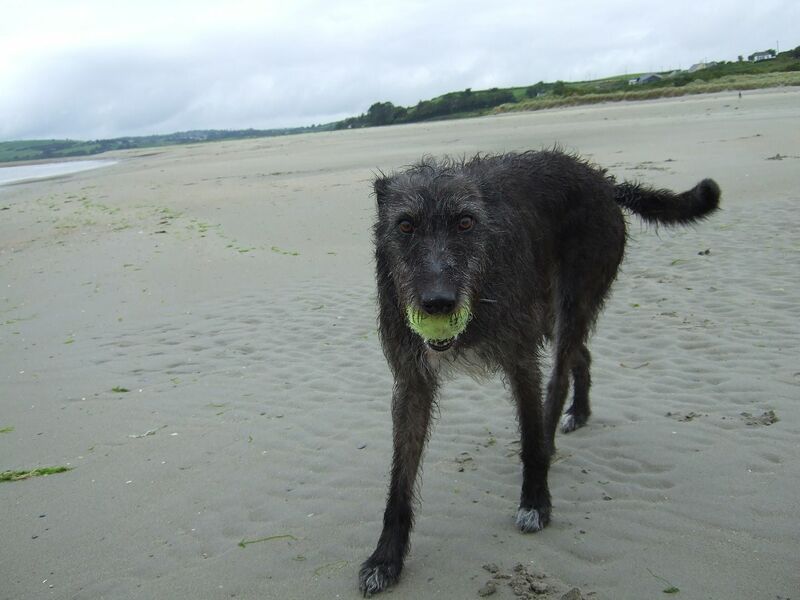 Here're a few from the beach today. 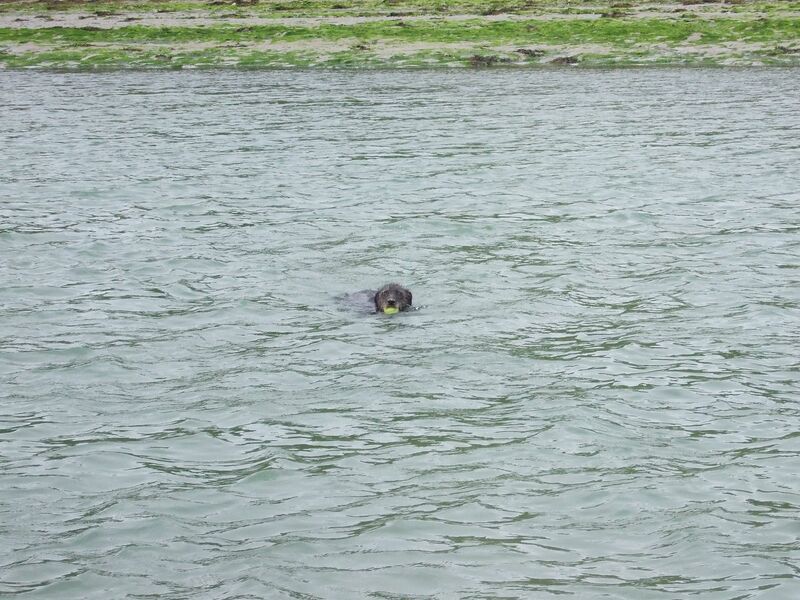 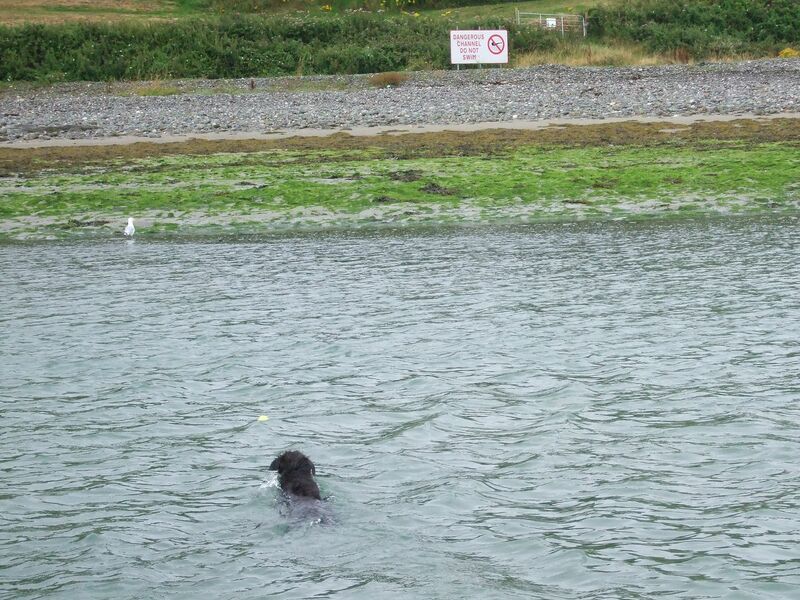 I find a ball thrower useful to keep them in proper condition but at this time of year it's better to be near water. 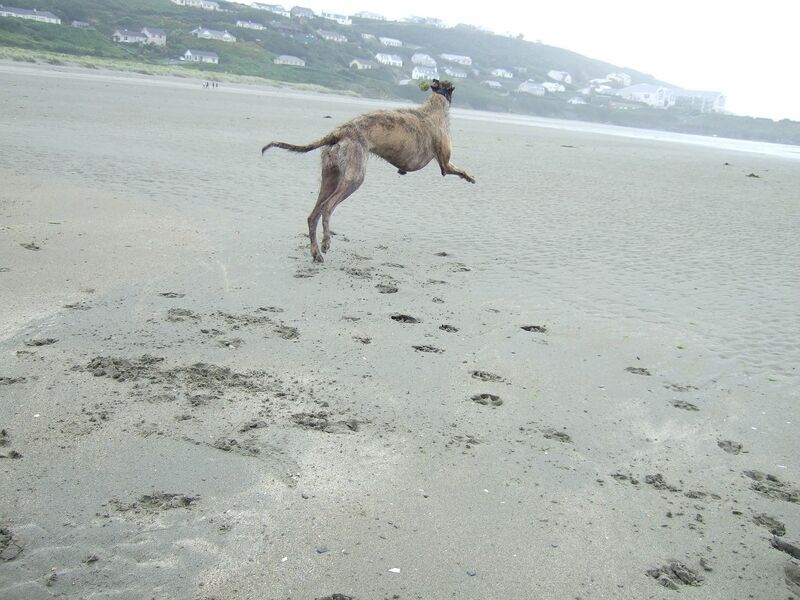 Marvellous pictures from marvellous hounds. 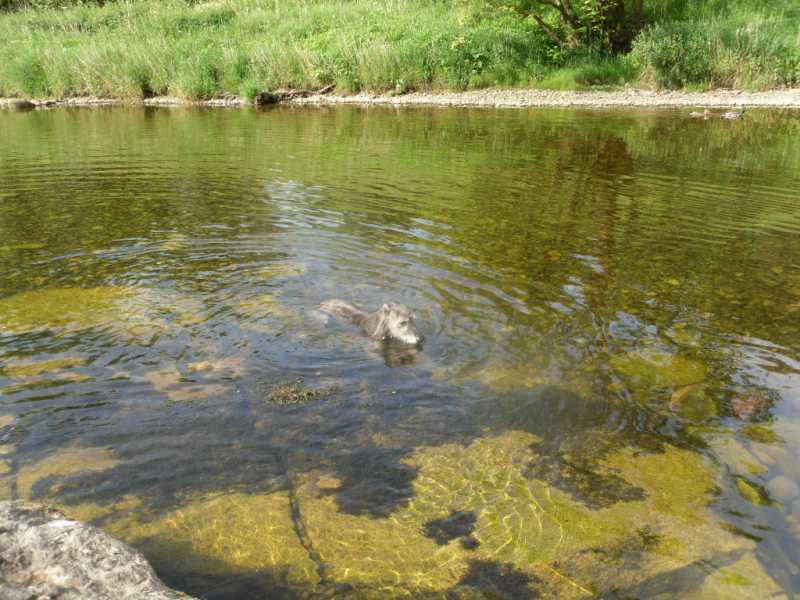 Great pictures, my Libby loves the water, she is in the stream and pond every day, my terrier sits on the side as if to say "I'm not getting in there"
Yes it is Brodie I was staying in Grassington some great walks/ views and wildlife etc. 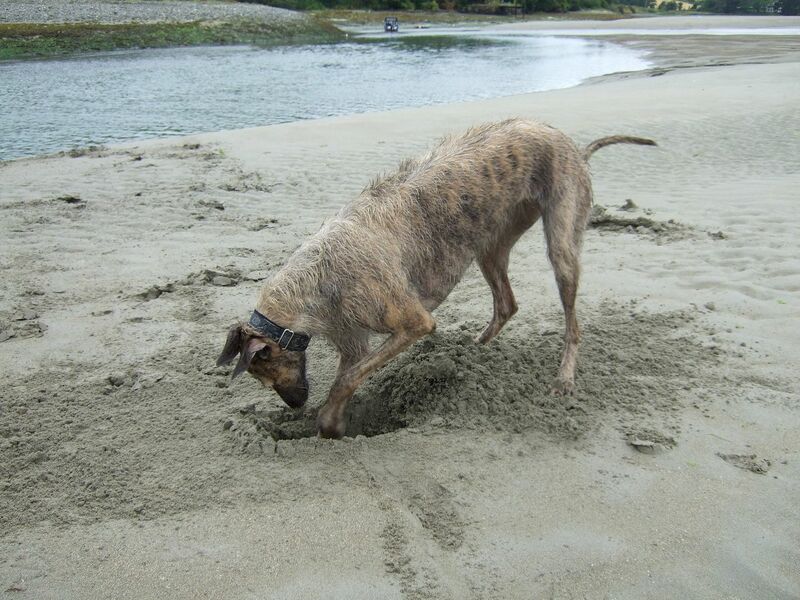 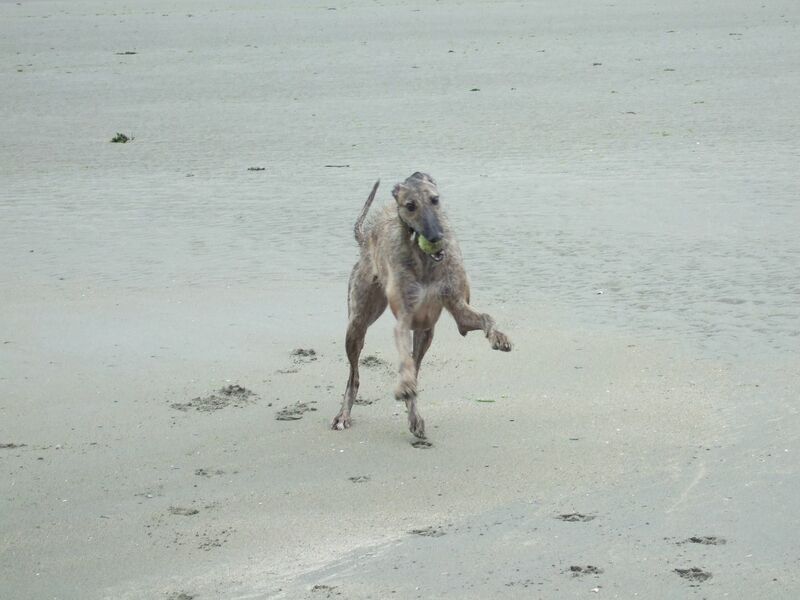 Not a dh owner but I adore them and found some fantastic groups on Face Book with Deerhound photographs.